Dr. Max T. Walsh, M.D. 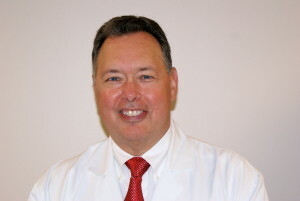 Dr. Max T. Walsh is a Board Certified Fellow of the American Board of Ophthalmology and has been in practice for over 30 years. He earned his Bachelor of Science from the University of Notre Dame and Wayne State University School of Medicine where he received his M.D. Dr. Walsh specializes in advance cataract surgery and all diseases of the eye. Dr. Walsh is a member of the Royal Oak Beaumont medical staff and has served on Beaumont Hospital’s Quality Assessment Board since 1996. He is also a member of the American Academy of Ophthalmology and the Michigan State Medical Society. Dr. Walsh is dedicated to providing the most advanced eye care techniques available. His caring team is devoted to affording the highest quality of care to every patient. In fact, patient satisfaction is our ultimate goal. It is our genuine purpose to leave each patient completely satisfied with the fact that they have received exceptional care. Our patients feel secure knowing that they are receiving the best eye care available because of Dr. Walsh’s extensive experience, outstanding credentials, and state-of-the-art, advanced surgical techniques. Dr. Walsh played Division I college football at the University of Notre Dame and was a member of the 1973 National Championship Football team. Dr. Walsh likes to be active playing golf and rooting for Notre Dame football. 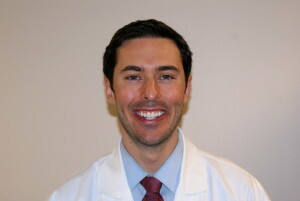 Dr. Christopher Walsh received a Bachelor of Science from the University of Michigan Ann Arbor and graduated with honors from Marshall B. Ketchum University in Orange County, California. Dr. Walsh completed his residency at the Detroit John D. Dingell Veteran Affairs Hospital and fellowship with an emphasis of Ocular Disease. He specializes in diagnosis and treatment of ocular diseases, glaucoma, diabetes, cataract patients, as well as, comprehensive eye exams. Dr. Walsh is a member of American Optometric Association, Michigan Optometric Association, and American Academy of Optometry. Dr. Christopher Walsh played Division I college hockey at Quinnipiac University. Dr. Walsh enjoys spending time with his wife and their son. At Walsh Eye, we select only the best of the best to serve our patients and their families. All of our staff members are friendly, knowledgeable, and highly proficient in their office duties. Should you have any questions or concerns before, during or after a visit to our Royal Oak and Novi ophthalmologist, do not hesitate to visit with one of our staff members. They are readily standing by to address your needs.